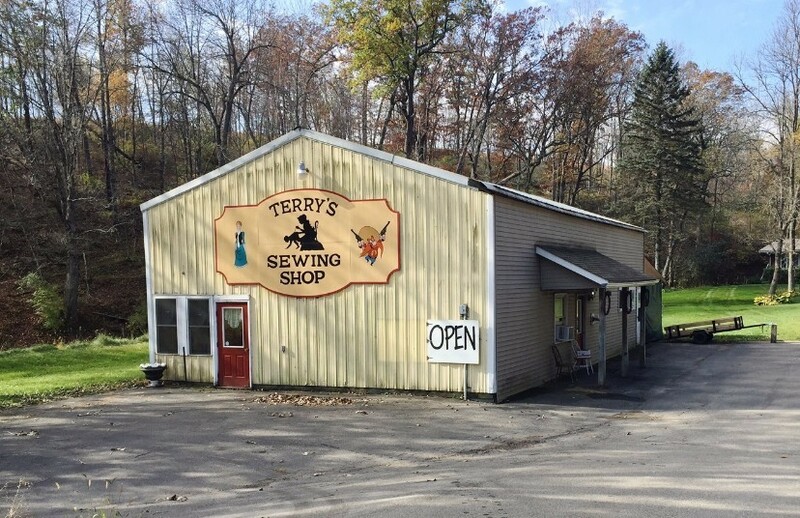 Terry's Sewing Shop opened its doors over 30 years ago and has been going strong ever since. Starting out with general sewing and odd sewing that people couldn't get fixed any where else. Then in about 1995, Terry began to specialize in the Old West and Civil War clothing. Since then, things have grown to a busy shop. Terry's Sewing Shop is a custom sewing shop. Making clothing to your specifications. Do you have longer arms than the average person? Or shorter legs? No problem, Terry will make your clothes to fit you! Terry strives to make the article of clothing that you want whether it is from a movie, or from a picture or just what you have dreamed up on your own! Terry will do her best to make you happy. She will work on the piece until she has the buttons, collar or pockets just right. As a customer, you can mix your thoughts or your pictures and Terry will give it a try. Terry belongs to The National Congress of Old West Shootists (NCOWS) and The Single Action Shooting Society (SASS) so she works more on the period correct clothing. Terry will not hestitate to tell you what is right and not right if you are going to belong ans shoot with these groups. The clothing she has in the shop are period correct clothing, depending the time slot you are working with. You will find Old West, Civil War, Rendezvous, or Medieval. Stop by the shop, she'd love to meet you. In the shop, you'll find clothing for the guy that wants the old stand by. But for the person that wants to create his or her own look then Terry's Sewing Shop is the shop for you. Just email or give a call and Terry will do her best to answer your questions. Thanks for your time and hope to see you down the road. Click on the Facebook image to the right and visit our Facebook page for that latest at Terry's Sewing Shop!